Hi...hope you all enjoyed this long weekend, well in NSW, anyway! Weather has been nice although warming up a bit today. Great for the garden, watering and mulching done here. 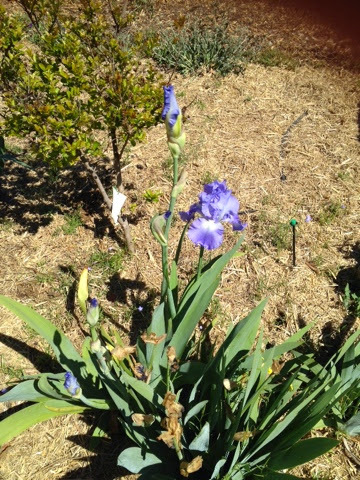 Have some beautiful Iris flowers out at the moment and the citrus blossom is very fragrant. We have some new neighbours, too! 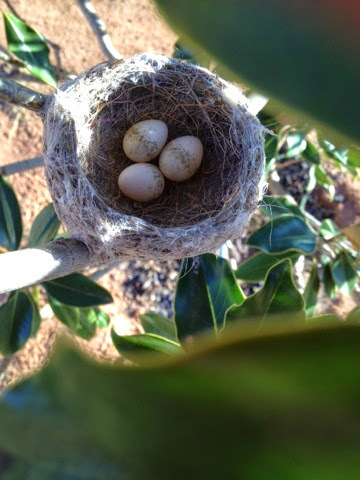 These little guys have moved in with their Mum and Dad into out Little Gem Magnolia tree. Triplets!!! Willy wagtails have given up on building in our garage ( with persuasion ) and moved into the tree. The cat is much happier as her food is in the garage and they kept dive bombing her when she went to eat! She isn't interested in them at all but they harass her terribly...lol. 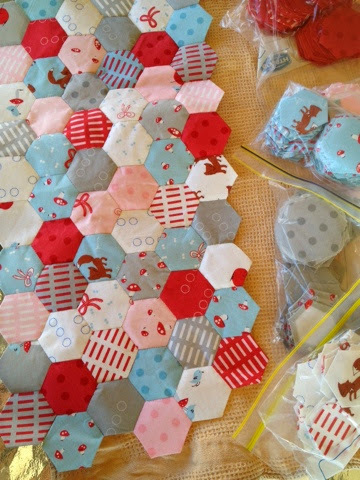 Have been doing a few hexies again, love doing them but they take a fair bit of prep! This is an old Moda print by Aneela Hoey called Walk In The Woods. 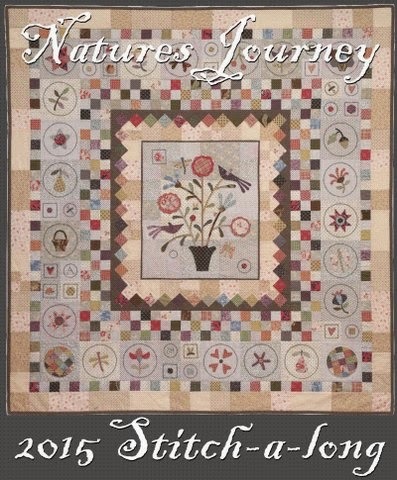 I cut them out if a jelly roll and I'm using the iron on templates that wash away when completed. I have stared planning some Christmas pressie making, too. Plan on making a few Euro cushions/covers for nieces and nephews...will need to hurry up! Have a great week xo Suze. Should be more long weekends! When I feel hot here I always think of you.......Spring doesn't seem to be lasting very long this year. Love your little hexies. I haven't used the wash away templates, are they good? Hello my friend....Your hexies look great....I am loving the colour combination....What are you going to do with them?